We're in the midst of National Spa Week (September 10th-17th), a period to pamper ourselves silly, but also one where the organisers aim to raise public awareness of the real physical, mental and emotional benefits that regular spa attendance can offer. Here's just one of our favourite places to book in a relaxing treatment. There's lots that we love about this place, but one of the things we like most of all is the Mermaid Spa – which is, as they say, a place of 'stillness, relaxation and inspiration', and who are we to argue? They do full aromatherapy body massages, facials, seaweed and mud body wraps, as well as the more out-there treatments like aroma, reiki, reflexology and crystal healing; all using vegan-friendly products. You don't have to be staying in the village to enjoy one of their treatments, and they offer packages for those who fancy a whole day's indulgence, starting at £60 for a manicure, pedicure or massage plus lunch at the smaller of the resort's two hotels, Castell Deudreath, right up to £115 for the works – pedicure, manicure, facial and aromatherapy massage, again followed by lunch at Castell Deudreath. They also do bespoke bundles for brides, grooms and mothers-to-be along with haircare, waxing and threading. 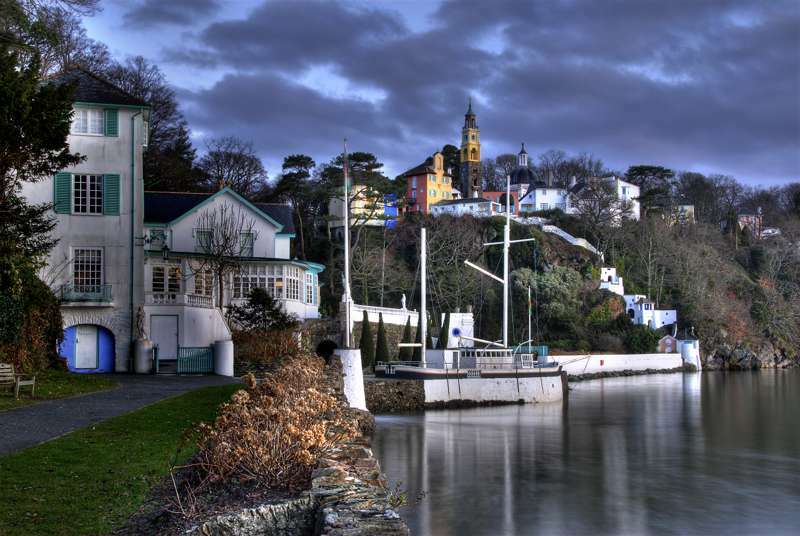 You don't really need an excuse to visit Portmeirion, but if you are looking for one, then a day at their spa could be it. And if you're staying in the village, you'd be mad not to take advantage of the spa's facilities while you're here. For more info on NSW, click here.